Hello my lovely friends. I do hope this long overdue post finds you happy and well? Well, I only bloody did it! I only opened my very own little yarn shop! It's been exactly one week now and, truth be known, it still feels a bit surreal. I can't really remember the details of the first few days; they were a bit of a whirl. I will warn you, I'm struggling to articulate myself at the moment. I suppose my mind has been so frantically busy for three solid months, it's taking a little time for it to slow down enough to allow me to enjoy calm, structured thoughts. I've had a lot to deal with in my personal life recently on top of starting my own business, not to mention moving house, so please forgive me if this post is a little sketchy. Anyway, the sun streams in through the front window for most of the day which is a complete joy but it makes taking photographs of the entire shop quite difficult - it's quite a long space and the pictures make the back area look deceptively dark - but I am really keen to give you a flavour of what it looks like. I think my next post will concentrate a little more on the actual yarns and products I've chosen to sell. From the offset, I knew I wanted to create a space that was light, pretty and colourful. It had to be a space that made me happy. That way, I knew it would have a jolly good chance of making anyone who stepped over the threshold happy too. You will notice quite a few personal touches if you look closely. I have my favourite Sascalia and Katie Daisy prints framed and up on the walls and, dotted around, there are a few of my precious bits and bobs. I've been lucky enough to receive some wonderful good luck cards and they sit along the top of one of the display units so that I can see them. I've had to be quite clever with storage. I have a little kitchen and a loo but no stock room. Strategically-placed boxes and cupboards conceal my surplus! I have a large table at the rear of the shop which extends to twice the size where I hope to hold classes and get-togethers. For now, it's a lovely area where I can sit and work and friends and customers can take a perch and have a natter. There's still quite a lot of tweaking to be done. For example, since these photographs, I've changed the positioning of quite a few things. The display on the table near the door is now quite different and I'm expecting the arrival of even more stock on Tuesday. You've all been so incredibly kind and supportive and I thank you from the bottom of my heart. I will return next week when I am hopefully far less poleaxed! It struck me only yesterday that one of the most blessed opportunities that my little yarn shop will offer now it's up and running is routine. That and the chance to sit, take a breath and let it all sink in. Perhaps then there will be room for a little pride to creep in? I am so very happy for you! It looks charming and the window, with all that wonderful sunlight, will be what draws people in! Good luck with everything and remember to just breathe! Absolutely gorgeous. 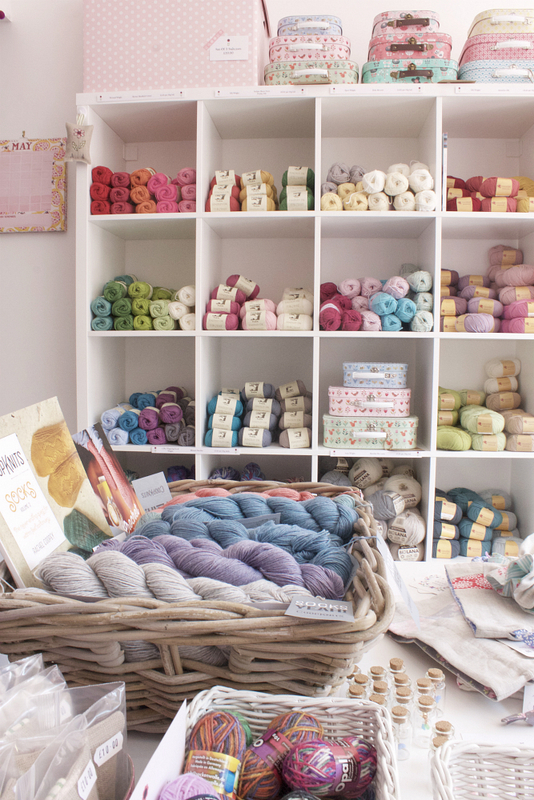 Like the yarn shop of your dreams! 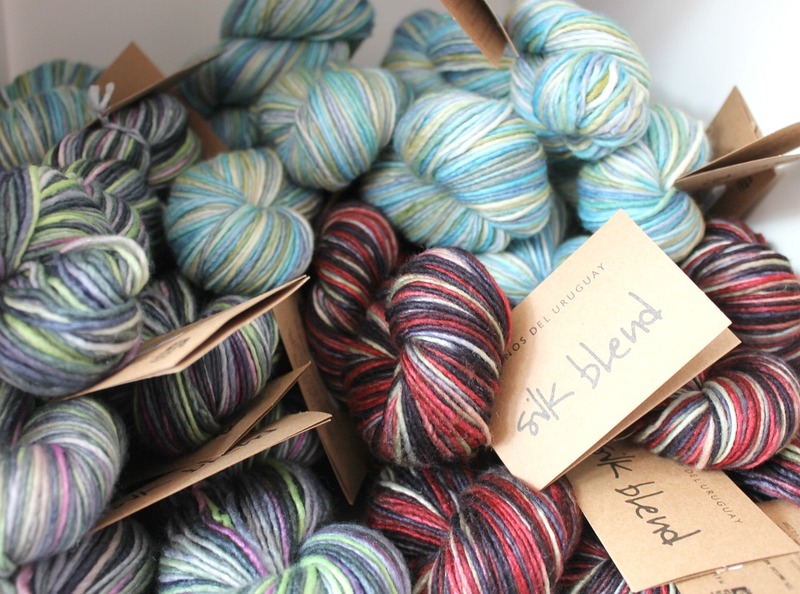 Do you sell navy blue or bottle green yarn hidden away somewhere too? 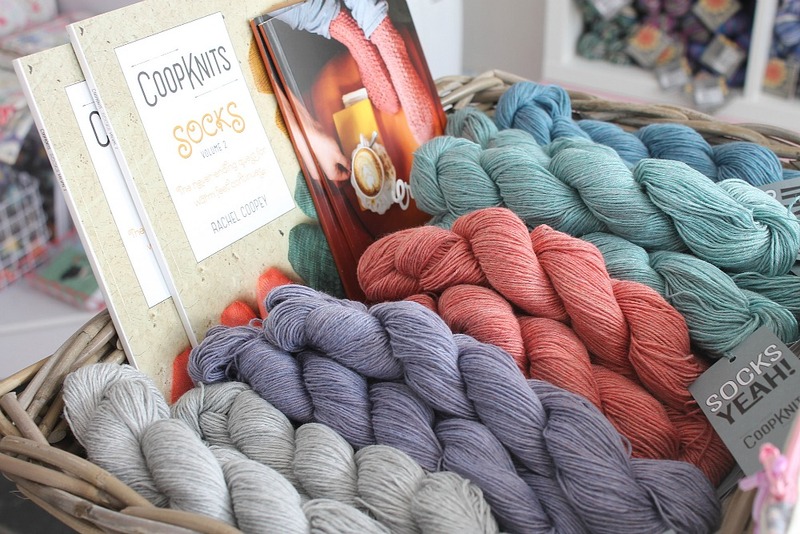 Some of your potential knitting/crocheting customers might like those colours. 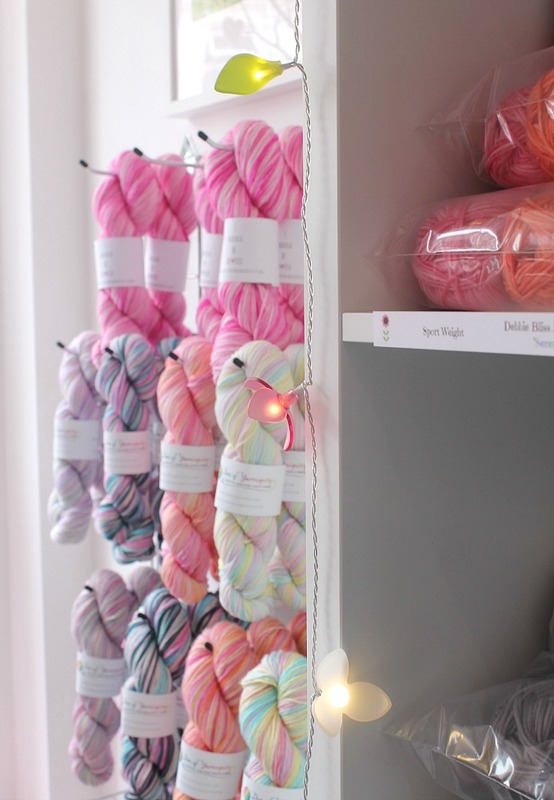 It perhaps doesn't fit the aesthetic of the shop but I would imagine that you would sell more yarn by including those with an interest across the full colour spectrum. If I made crochet or knitted animals, I might have a use for browns, beiges, tans and greys. What about if I wanted to make a primary coloured set of building blocks for a baby? Or a bright and cheerful cushion cover. Thank you for your response which is polite and informative (even though I expect what I wrote was annoying - I hesitated to post it). I wasn't in fact trying to be a kill joy but these were things I noticed and thought your customers might too. Possibly bottle green doesn't have much love - except for a school cardigan maybe. Hang in their Heather. Hang in there... ;) You are doing just fine. Congratulations!!! Your shop looks so fun and inviting. I wish you all the best! Ooooh! 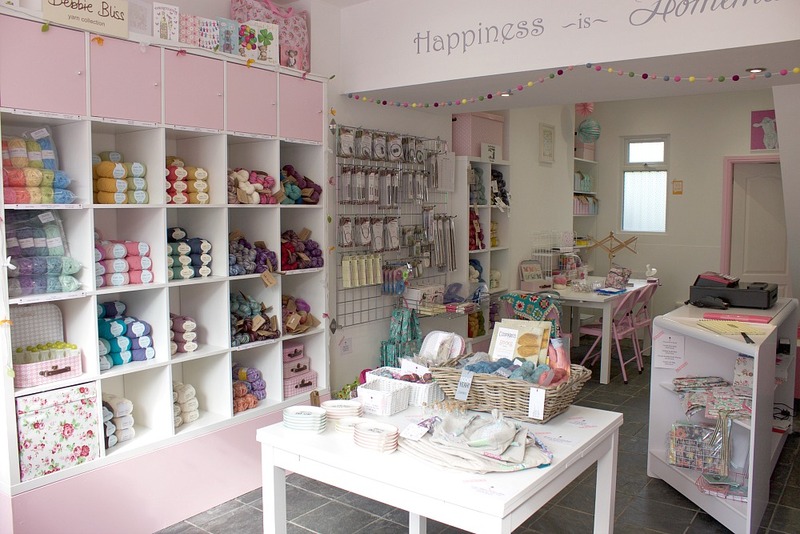 Your shop looks so very pretty and cheerful! So full of light and colour! Congratulations! Enjoy and do try to to catch your breath! I'm wishing you all the best! 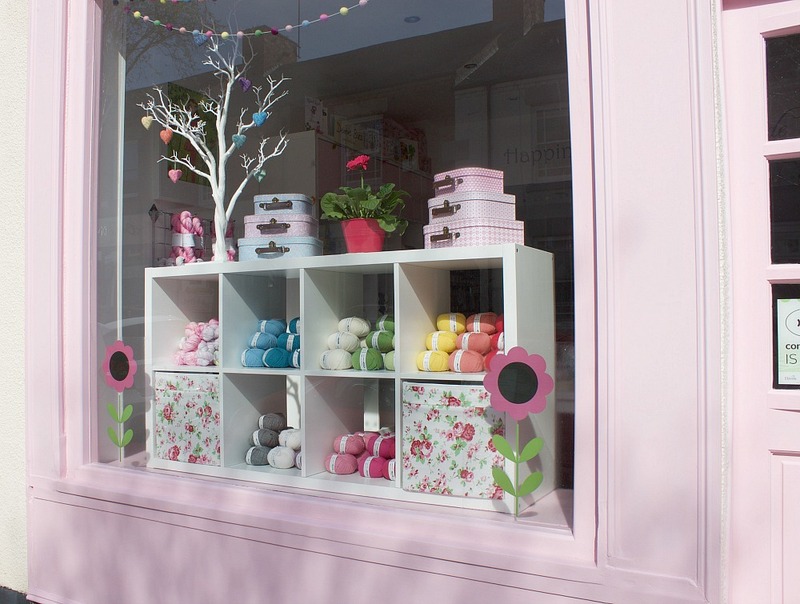 Your shop looks so lovely with its sweet colours. I regret it's so far from ma french home. Best wishes again. I so wish my local yarn shop looked like this! Unfortunately they only sell rather questionable and boring yarn (I am honestly not a horrible snob! ), and when I asked the owner about local spinners/dyers she said I must have money to burn! Can't wait to hear about your choices for stock. 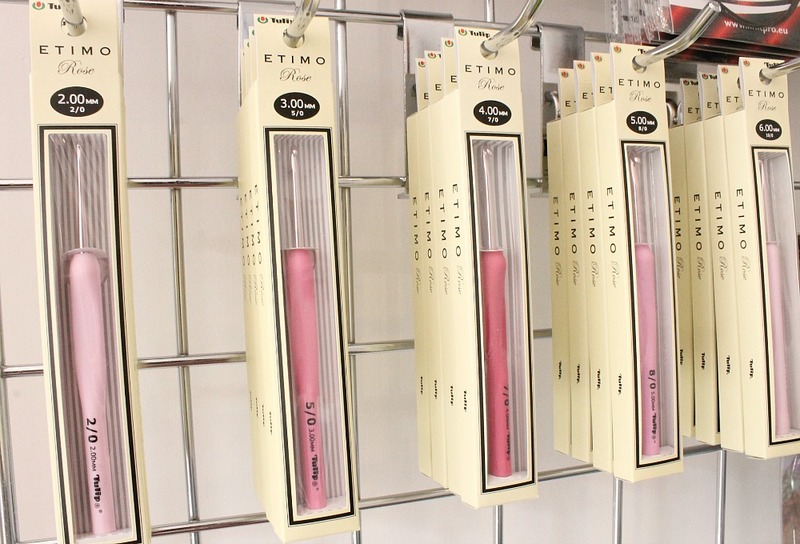 I have tried the Tulip hooks on your recommendation and they are amazing, I wouldn't want to use anything else now. Best of look with the shop, I would love to visit someday! Your store is lovely! Please open another near me in Utah! Wish I lived nearby, would love to visit! What a wonderful shop. WELL DONE! I wish I lived closer so that I could pop in! Absolutely adorable & inviting shop! Can you please tell me where it is? I will be in England in August and hope I can pop in! It looks so lovely, wished I could just pop in and say hello. Love, love it!! Wish I could shop there, but too far from Indiana, USA. I wish you the very best in your new adventure. Thank you for sharing this with us. So, so beautiful, I wish I could make the trip just to visit your lovely shop! Those pastel yarn skeins would make such a wonderful pair of socks! Oh my Gosh! You did it!!! Fantastic. You are a true inspiration to me. Lets just do it... No one knows what tomorrow brings. Why wait when happiness is right here, right now. 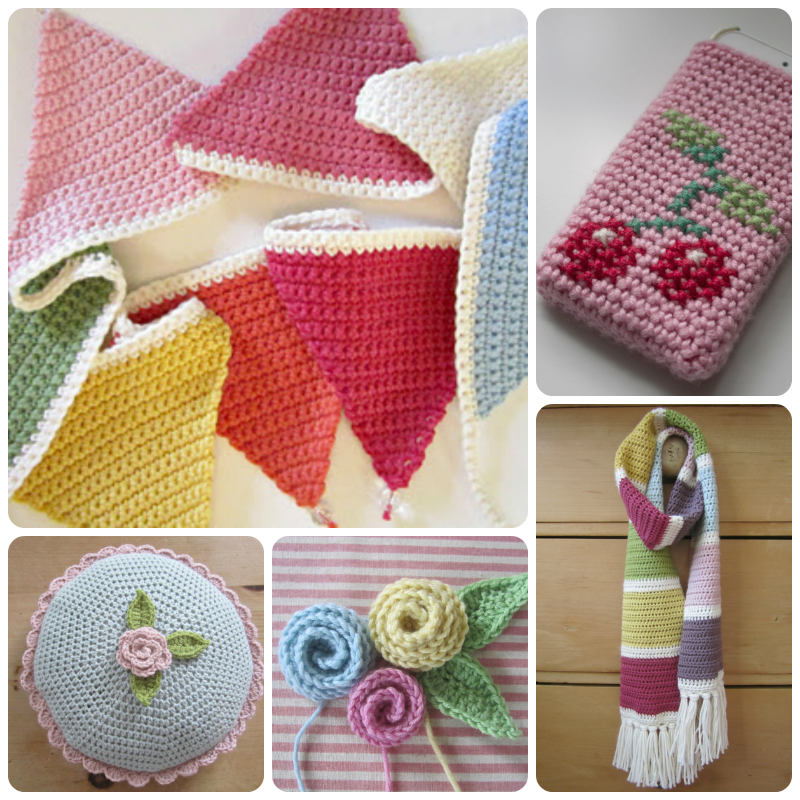 Thank you for sharing your beautiful little yarn Boutique!!! I want to see and hear more. Whenever you have time that is. CONGRATULATIONS! !You are so lucky to work in such a pretty enviroment.Good luck. Oh Heather, I LOVE IT! It's absolutely scrumptious in every way and I am so happy you finally got it open and made it through Week 1. So much to come in your lovely Pink Milk Yarn Shop adventure. I'm so happy we are along for the journey! What a beautiful, beautiful shop. Well done, looks so lovely, wish i lived nearby! 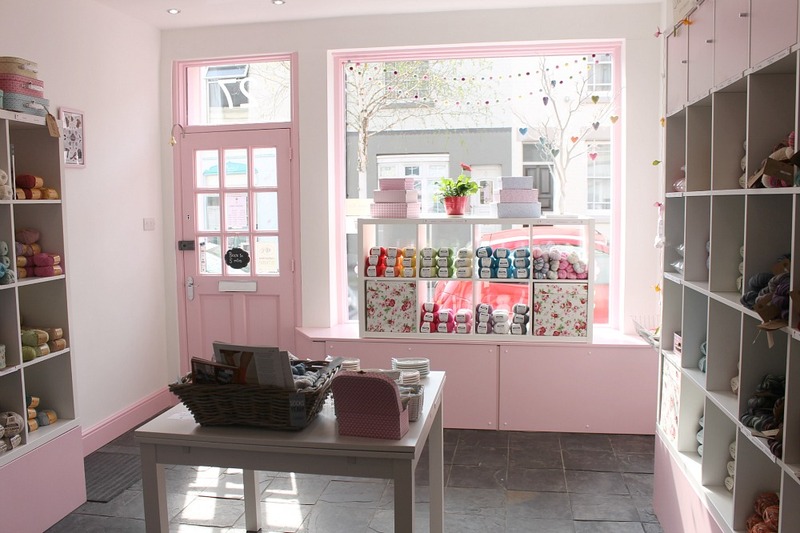 OMGoodness, what a sweet and lovely shop! You did a spectacular job. I wish I lived nearby. Congratulations! Que hermoso lugar... tiene magia, dan ganas de crear y crear y crear... La distancia hace que realmente sea un lugar de en-sueños!!! 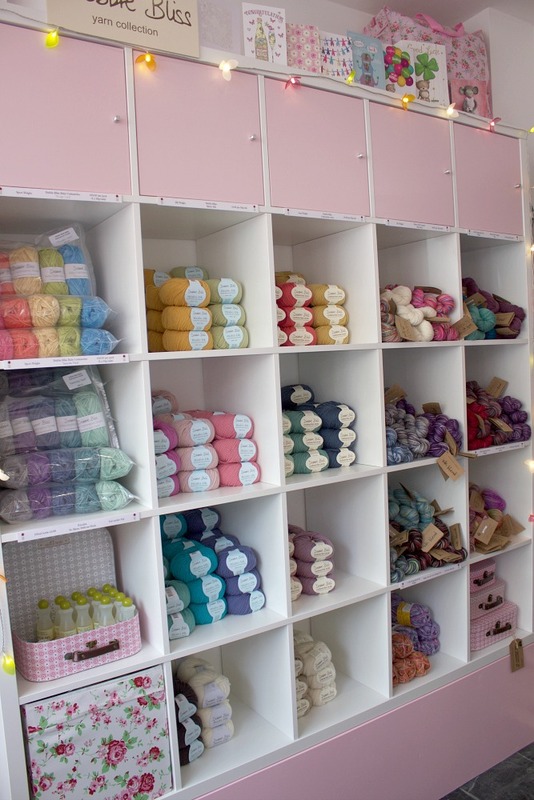 You have done an incredible job with the shop (I helped a friend set up a yarn/fabric shop last year & I can't imagine how you moved house as well!). Congratulations!! It is so pretty!! Makes me wish I weren't in the Seattle area! Enjoy and blessings!! How gorgeous your shop looks, Heather! Congratulations on getting it all ready and open and looking so beautiful both inside and out! Will you be selling things from your shop online? Your shop looks so beautiful and lovely! CONGRATULATIONS AND GOOD LUCK! I wish I could come and visit it. Greetings from Poland! Congratulations! This little shop is lovely! Thank you for sharing the photos. Yes, sit back, take a breath, enjoy and create.... Best of luck with this new adventure! 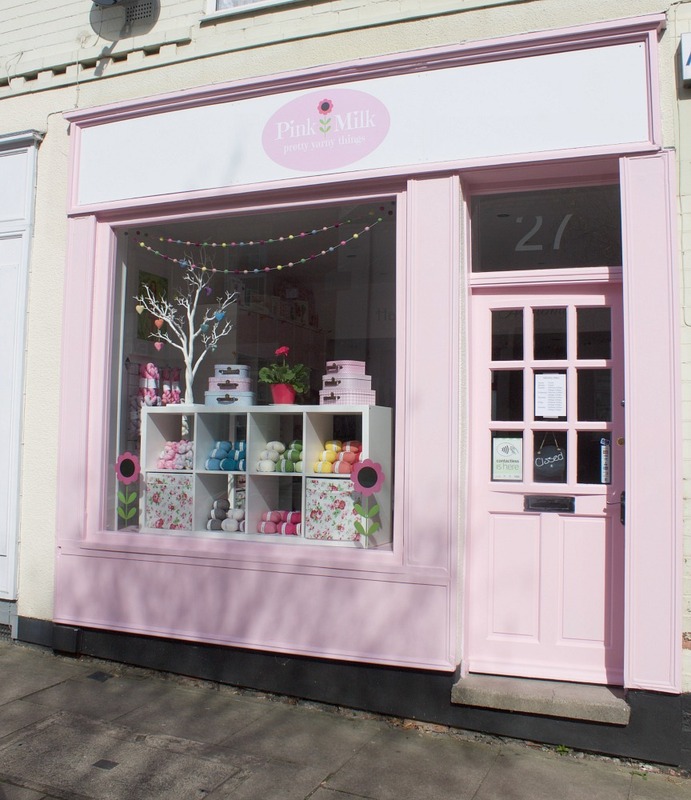 To those of you in places like Utah and Poland who are envious of us in Leicester, I visited the lovely Pink Milk today, a little oasis of pastel calm in a city that is currently very blue due to certain football related events....GOOD LUCK Heather! It's the cutest shop I've ever seen! The combinations of colors are unbelievable! You are wonderful person to show people the warm cute beauty. Congratulations! The shop looks great and I know it was a lot of work. I only wished I lived closer so I could come and visit. Oh Heather it all looks wonderful! I'd need to save up my pocket kidney if I was to come visiting, so many gorgeous temptations. You have done an amazing job, it looks so welcoming and friendly. Can't wait for more pics and tales of shop life. Congratulation again on your beautiful shop! Well done you, can't imagine how much work it must have been to make it all happen. It's beautiful, reflects so beautifully your style just like your log and work. I'm so delighted for you! Congratulations! 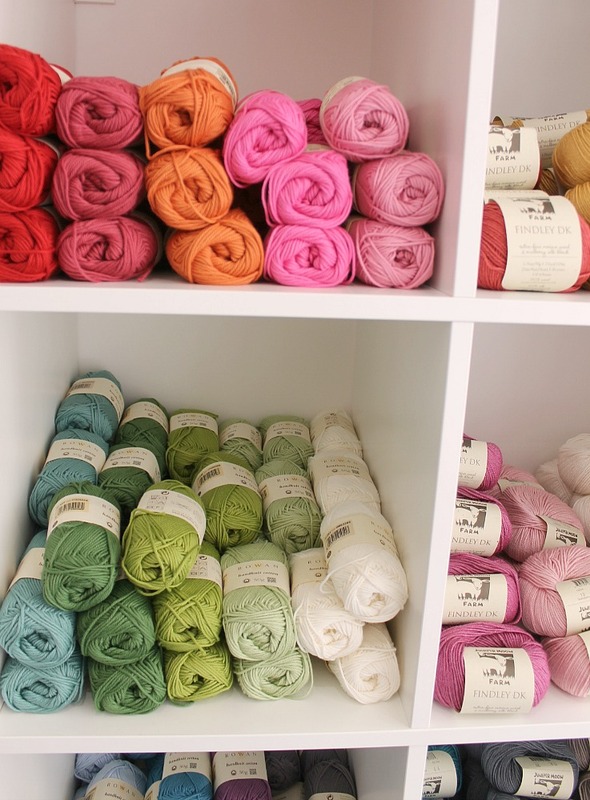 There is nothing like the feel of a cozy store full of yarn! 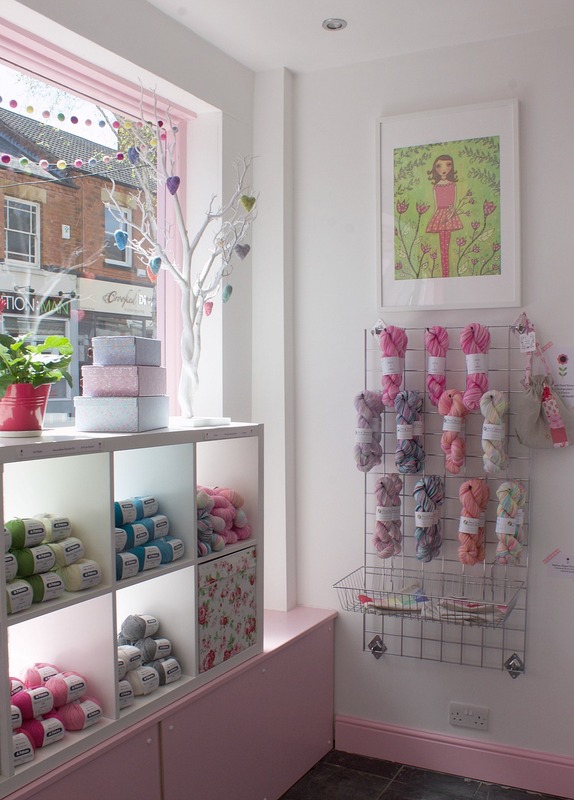 Well done you - the shop and yarn and extras all look beautiful! It looks amazing! I love the light especially - both my local yarn shops are far too dark and I end up having to cajole them into letting me take the yarn outside for a proper look. The really great thing is that your shop is not far from my in-laws'. We'll be staying with them for a few weeks this summer so I'll definitely be paying you a visit! Well done Heather - it's just beautiful! 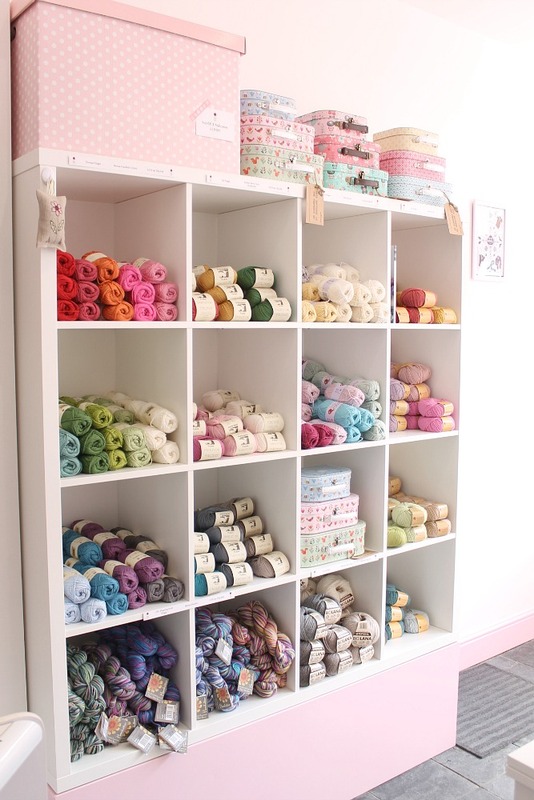 A dream yarn shop. If I'm ever up your way I will definitely make a visit. Gorgeous! I hope I can visit someday. I'm across the pond tho. Hehe. Do you think once you're settled, you can update us on the Happy Scrappy scarf please? I would love to see how it turned out! Congratulations. I swear you are living my dream ! I can not wait to see the wares in your online shop. I found you through Sew Sweet Violet, who I have just found online. The two of you ladies have such a pretty delicate color pallette. Im so so inspired. I live in New Zealand. I would completely bankrupt if there was a store like this close by!! What a delight!!! Congrats! Oh, what a dream you lovely shop is! It's like a woman's candy shop. 😉🍬🍭🍬 I think I could practically live there!